Pours a lovely rich dark chocolate colour with a lasting head. Very fruit tones. I would say it’s a Christmas pudding in a glass. Currants and toffee/caramel. Cloves and cherries. Very smooth going down. Quite thin, and nowhere near as much flavour as smell. 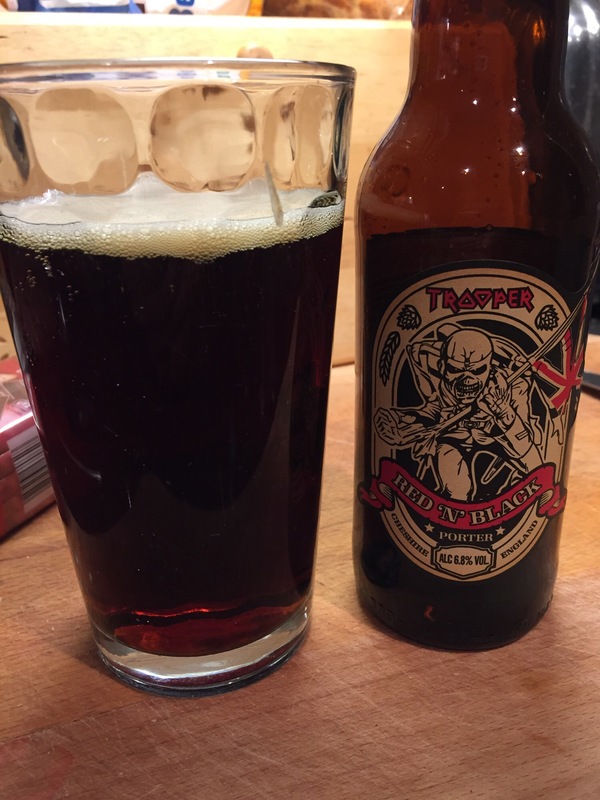 This entry was posted in beers and tagged porter, robinsons, troopers. Bookmark the permalink.